* We will match competitor prices. UC Baby® 3D Ultrasound Halifax offers amazing bonding experience with using advanced 3D Ultrasound technology. Our service brings unforgettable memories to expectant families in Nova Scotia. Our friendly staff and personalized service are chosen by many pregnant moms since 2006. Clients and their families can get unique keepsakes with our images, videos, and Heartbeat Bears®. To provide you an even more amazing and realistic experience, we offer free Live Broadcast and Video On Demand services at UC Baby® Ultrasound in Halifax. Our high quality 3D and 4D ultrasounds provide you a real-time experience with your unborn baby that you can remember for a long time. So if you are looking high quality 3D ultrasound experience in Halifax during your pregnancy, UC Baby® 3D ultrasound clinic should be your choice. UC Baby® Halifax Brings you the magical advantage of 3D Ultrasound Technology! All the systems and techniques at our 3D ultrasound center are designed and supervised by Dr. Tina Ureten, one of the leading elective 3D ultrasound expert in Canada. She has more than 25 years of experience in pregnancy ultrasounds. All the sonographers and technicians at our facility are trained, certified and experienced in performing obstetric 3D ultrasounds. That is why UC Baby® is recommended by obstetricians, physicians and other health care professionals to expectant mothers who are looking for the advantage of elective 3D ultrasound. At UC Baby® Halifax, your unique experience is more important than anything else for us. When you come to UC Baby® – Halifax, you can rest assured that your service would not be rushed, we take extra time to reach your expectations. During this special time, we serve you and your guests going above and beyond your expectations. During your quality time with your baby we take pictures and record videos. You can take your baby’s printed pictures, CDs, DVDs and USBs right after your session. We also offer you special promotions and free gifts from our partner companies. 3D and 4D ultrasounds are truly rewarding and extraordinary experience for the expectant families. Our scans are regularly reviewed by our founder Dr. Ureten to ensure that our protocols exceed the standards set by her. At UC Baby® Halifax, we make sure your scan is done within medical and ethical standards. 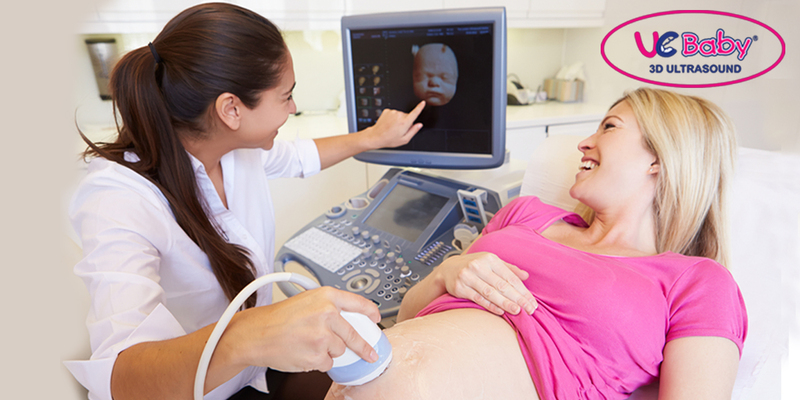 Our experienced and friendly ultrasound technicians put extra care for your comfort and safety. UC Baby® is the 3D ultrasound center in Halifax that allows you to share your special time with your loved ones. You can invite five guests to the clinic with you to see the ultrasound while we also offer live online broadcasting services for more guests. We also allow you to watch the video of your session online at a later time with our Video on Demand service. UC Baby® Halifax offers one of a kind Heartbeat Bears® and Gift certificates to bring extra cherish to any pregnant mothers live in Halifax and Nova Scotia. Wow, what a wonderful experience! Our sonographer was friendly, and got some great shots of our little one. I was so happy to hear that the staff were able to accommodate our request of not revealing our baby's gender. The sonographer made sure to tell us to "look away" when necessary and provided us with our baby's gender in an envelope upon departure, so we could find out with friends and family! I may have to come back when I am further along in my pregnancy...so much fun! We went to UC Baby in Bedford, Nova Scotia the other day with my son and daughter-in-law and it was an amazing experience! The technician and staff were so wonderful. They really made the ultrasound a wonderful one. I would recommend your service to anyone. Thank you for allowing me to meet my first grand baby.